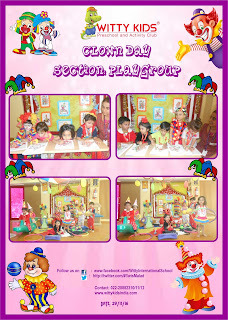 On Tuesday, 29th November 2016 Playgroup children came dressed as Clowns to celebrate "Clown Day". Children enjoyed playing with the hoopla rings, doing the somersault and playing other fun games. The day ended with an art activity.